Amatech takes pride in providing custom packaging solutions for your unique needs. Above are just a few examples of what our team can accomplish for you. Let us design a solution that is right for you. Amatech offers Waterjet Cutting of non-metallic materials such as XLPE foams and HDPE that is accurate and consistent. 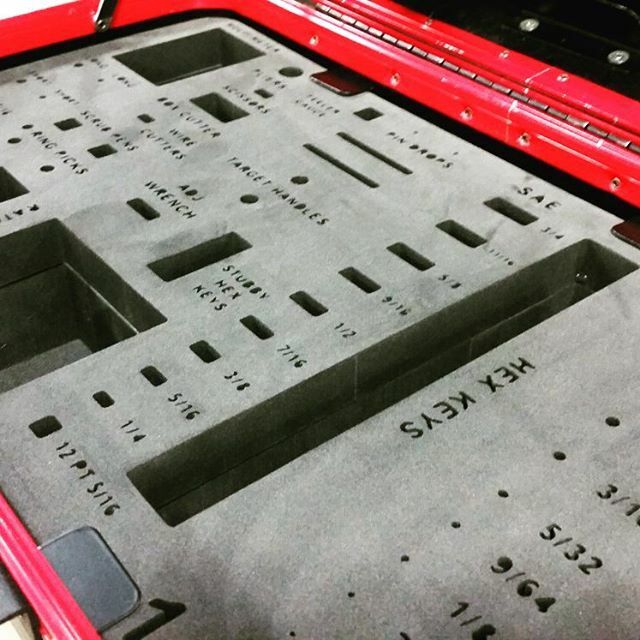 Our water jet foam cutter is computer-driven that is capable of producing intricate shapes and profiles. Water jet cutters are extremely easy to set up and program. Efficient nesting software is used to maximize material yields, lowering your cost. We can enable design changes to be made from prototypes to final product resulting in shorter lead times. The edge quality produced by waterjet is a function of speed, pressure, nozzle size and abrasive flow rate. Waterjet foam cutting eliminates the need for secondary finishing, thus creating significant time savings and improving efficiency. How Can Water Jet Cutting Technology Benefit You? Waterjet foam cutter can be applied to many of our products. 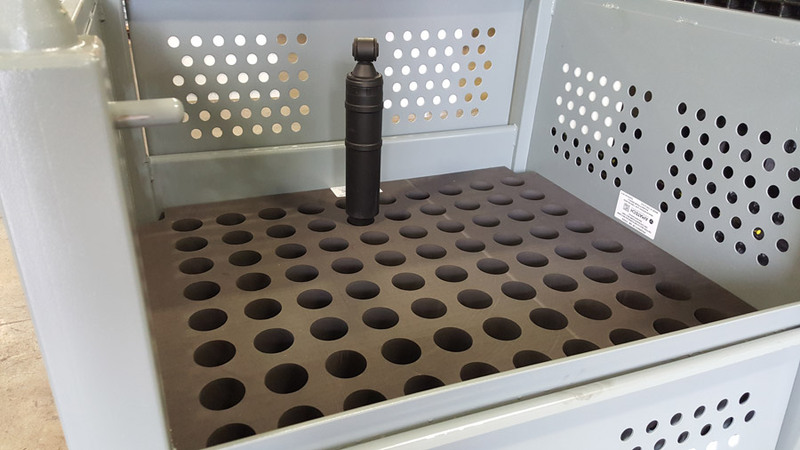 The most common applications are dividers, steel racks, plastic sleeves, plastic corrugated pads, totes, bulk containers and can also be applied to material handling applications and more. 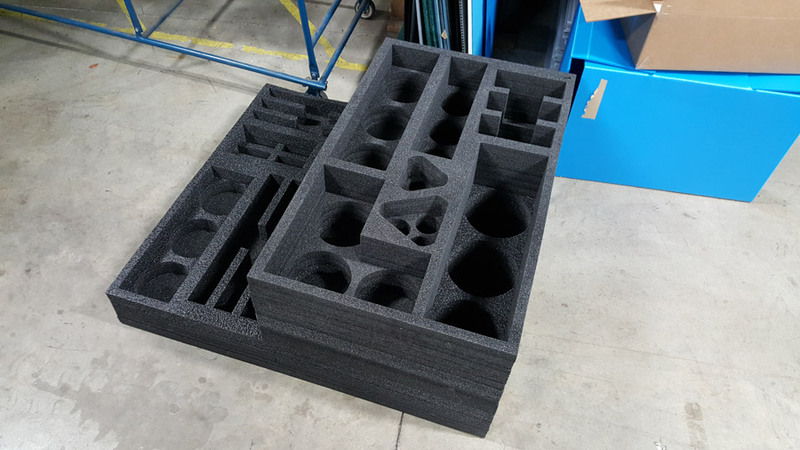 Our water jet foam applications can be customized to fit many industry projects for a countless purposes. Our non-metallic precision waterjet machine, that measures 156" wide X 98" deep, is equipped with 3 waterjet heads that can cut up to three 48" x 96" sheets of material at one time. 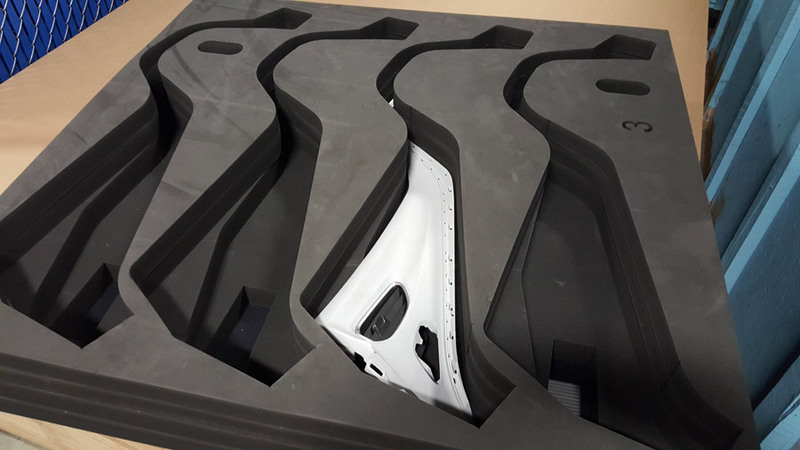 With our 5 axis capability, we can produce complex 3-dimensional shapes to fit any product. 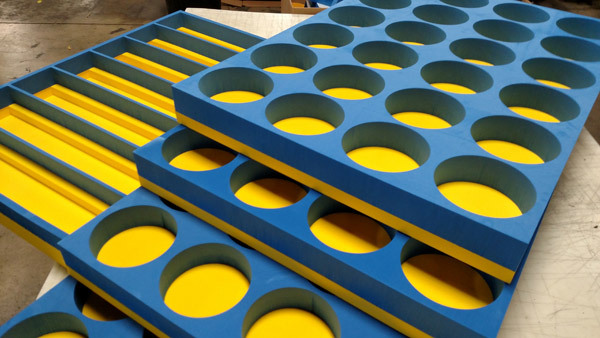 At pressures up to 60,000 psi, we can ensure your foam is cut precisely to meet your exact specifications. Our waterjet cutting machine uses green technology that produces no hazardous waste. Discover how Amatech’s exact, custom fit, returnable packaging solutions are the answer for your shipping and storage needs. Learn more about the extra protection Polyurea can offer!